Thomas A. Gennusa II APLC is a full-service law firm that gets results for victims of catastrophic personal injury. A major injury can disable you for years, if not the rest of your life. Based in Metairie, Louisiana, our law firm helps maritime workers and other people throughout the New Orleans area get maximum financial compensation from the businesses and individuals that caused their injuries. These areas of personal injury law are complex. To avoid costly mistakes, you need the experienced and trustworthy assistance of one of our lawyers. We are well-known for aggressively representing our clients. We are skilled litigators who are never reluctant to go to court. Several of our cases have ended in multimillion-dollar verdicts because our goal with every case is to ensure the client’s financial future. Get started today to find a solution to your medical bills, lost wages and other costs you should not have to pay. 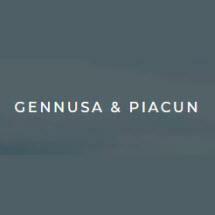 Contact Gennusa Law Firm to schedule a free initial consultation with an attorney.